William Maxwell Evarts served as attorney general of the United States during the last year of the administration of President Andrew Johnson. Evarts was a distinguished and powerful New York attorney who successfully defended President Johnson at his Impeachment trial, represented the Republican Party before an electoral commission during the disputed presidential election of 1876, served as Secretary of State during the administration of President rutherford b. hayes, and ended his public career as a U.S. senator. 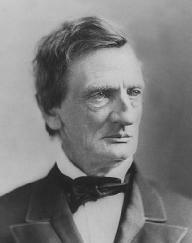 Evarts was born February 16, 1818, in Boston. He graduated from Yale University in 1837 and then attended Harvard Law School. He was admitted to the New York bar in 1841 and subsequently established a successful legal practice. From 1849 to 1853, Evarts acted as assistant district attorney for the New York District. Evarts entered public service during the U.S. Civil War. He participated in diplomatic activities as a member of the Secretary of Defense Committee for the Union. In 1863 he went to England as a Union delegate to convince England to stop providing war vessels and equipment to the Confederacy. Following the end of the Civil War, Evarts returned to his law practice. He was drawn back to Washington, D.C., in 1868 to help defend President Johnson at his impeachment trial. The charges against Johnson were weak and politically motivated, yet the mood in the Senate appeared to favor conviction. Evarts proved instrumental in obtaining an acquittal, though by a margin of only one vote. Johnson rewarded Evarts by appointing him attorney general. Evarts served in that position until the end of the Johnson administration in March 1869. "Truth is to the moral world what gravitation is to the material." Evarts then returned to New York government. He led the New York City Bar Association for ten years and was an advocate for political reform in the city, which was dominated by the corrupt Democratic political machine led by the "Tweed Ring." The ring was named after William Marcy "Boss" Tweed, the New York City Democratic Party leader who ran the party organization popularly known as Tammany Hall. Tweed and his associates used their political connections and political offices to gain a foothold in city and county government. Once formed, the Tweed Ring misappropriated government funds through such devices as faked leases, padded bills, false vouchers, unnecessary repairs, and overpriced goods and services bought from suppliers controlled by the ring. In 1876 Evarts reentered the national political arena, this time as the chief counsel of the national Republican party. The presidential election of 1876 between Democrat samuel j. tilden and Republican Rutherford B. Hayes ended in disputes involving the voting returns of Florida, Louisiana, and South Carolina. Two sets of returns were submitted from each of these states, one favoring Tilden, the other Hayes. If Hayes were awarded the electoral votes from these states, and one more from a disputed Oregon elector, he would defeat Tilden in a vote of 185–184. Congress appointed an electoral commission to decide which returns to accept. In the end Evarts and the Republican members of the commission were able to convince commission member and Supreme Court Justice Joseph P. Bradley to cast his vote, which was the deciding vote, for the Hayes electors and Hayes was awarded the presidency. Tilden agreed to the result out of fear that violence would ensue if he disputed it. In return the Republicans made a side agreement with southern Democrats that led to President Hayes in 1877 removing federal occupation troops from the former states of the Confederacy. Evarts was also a key player in these affairs. President Hayes, like President Johnson before him, rewarded Evarts, appointing him secretary of state in 1877. Evarts served in this capacity during the four years of the Hayes administration. In 1885 he was elected a U.S. senator from New York. He served in the Senate until 1889. In failing health he retired from politics and the law in 1891. Evarts died February 28, 1901, in New York City.